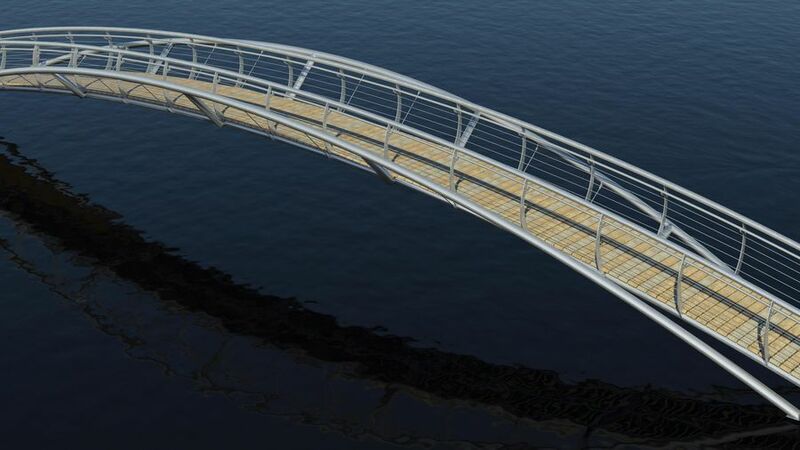 Accurate visualisation of proposed Jubilee Bridge over the River Cherwell that would provide pedestrian access from Christ Church Meadow through to Christ Church’s sports ground. 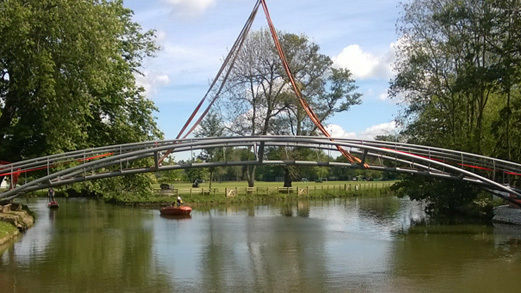 When The Morton Partnership wanted to submit designs for a new bridge across the River Cherwell, it commissioned Plowman Craven to assist in the planning process. The 28-metre proposed Jubilee Bridge was required to provide more suitable pedestrian access from Christ Church Meadow through to Christ Church’s sports ground. To ensure that both the planning committee and the public could fully visualise and assess the overall impact of the bridge, Level 3 Accurate Visual Representations (AVRs) were generated from key viewpoints. These AVRs accurately represented the exact dimensions of the bridge, and its location and appearance was portrayed accurately in a photograph rather than through 2D plans and elevations. In order to achieve this task, Plowman Craven carried out an AVR survey which included high resolution photography, GPS and a topographical survey at the site of the proposed development. Jubilee Bridge RenderWe used 2D CAD design plans provided by the Morton Partnership to then create a 3D model of the bridge. This 3D model had materials and lighting applied so it accurately depicted the real world materials and time of day the photography was taken. Utilising the AVR survey, this 3D model was then accurately aligned to the photography and proposed site layout provided by The Morton Partnership, and assisted in providing a highly realistic representation in the final rendered image. 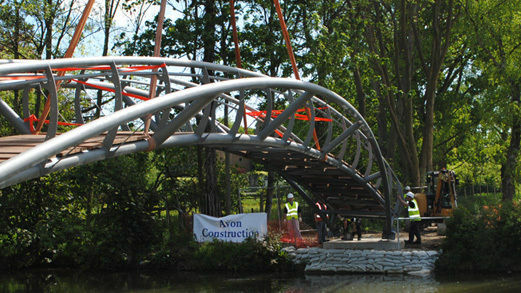 Jubilee Bridge Construction Plowman Craven also provided a methodology statement which described the process carried out in order to create the images and planning for the Jubilee Bridge was approved in February 2013. Construction of the bridge began in March 2014 and the official opening was in June 2014.